 Home › LifeStyle News › Did Policemen Actually Escape Over Fear To Battle Against Boko Haram? 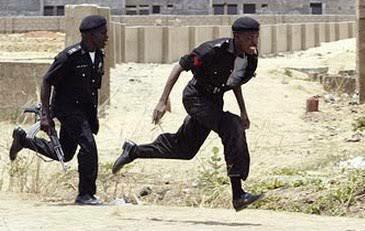 Did Policemen Actually Escape Over Fear To Battle Against Boko Haram? sent for battle against Boko Haram fear mongers in the Northeast fled are unwarranted. Force spokesman Jimoh Moshood, an acting Deputy Commissioner of Police, while responding to the report that the cops fled with their rifles from Police Training School in Yobe, said the case was examined and observed to be false. Moshood said it was clear the writer had not visited the venue of training nor witnessed the deployment of personnel. He added that the writer relied ignorantly on hearsay from misguided individuals being used to work against national interest and security. The Force spokesman said: “The force wishes to categorically state that the story is untrue, absolute falsehood and a deliberate attempt to cast aspersions on the efforts of the Police in the ongoing fight against Boko Haram insurgency. “The insinuation in some quarters and as reported in the story that 167 out of the 2000 additional police officers recently deployed by the IG absconded is not correct and should be disregarded by members of the public. “These 2000 police personnel are to complement the efforts of the military, to add new impetus to the fight against the decimated Boko Haram insurgency. “This story was investigated and it was found out not to be correct. There is no reason whatsoever that police personnel deployed for the operations in the Northeast would abscond. “The Police Mobile Force (PMF) personnel have been engaged actively in the front line along with the military in the fight against Boko Haram since the inception of the insurgency. “These 2000 police officers recently deployed are in addition to several thousands of police personnel already engaged in the fight against insurgency with the military in the Northeast. The list of 167 names attached to the story is fake as the officers mentioned are on ground in the Northeast.